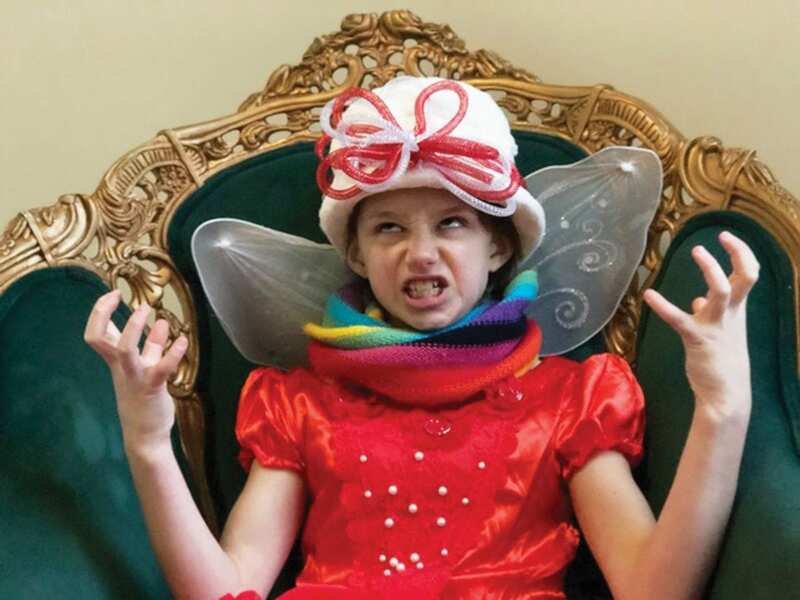 Photos submitted to Times Observer Jenna Kophazy as Brumbley the Elf. Miss Jenna Kophazy first stepped onto stage at age eight as an ensemble player in the Warren Players’ production of Mary Poppins. 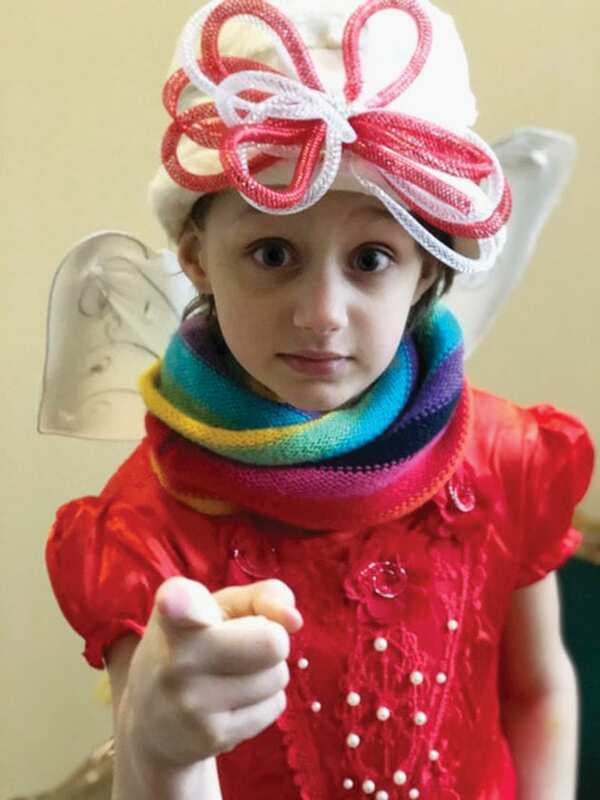 This December 7th, Kophazy will step back onto the Struthers Library Theatre Stage at age 10 as a featured performer in SLT Academy’s Christmas Cabaret. Kophazy will play Brumbley the Elf, a seriously burned out elf preparing to deliver yet another orientation speech to a new crop of North Pole recruits. Having given the same speech for over 1,000 years, you can understand why Brumbley is dissatisfied in his work. Though pint-sized, Kophazy packs an acting punch, bringing the angry elf Brumbley to life while delivering a side-splittingly funny orientation speech that audiences will remember long after the show. “I like to make characters stand out to people,” said Kophazy. During her time in the Junior Competitive Troupe at SLT Academy this semester, Kophazy has learned the skills to do just that. Kophazy has worked hard to create a backstory for Brumbley that she could use to inspire her acting. Recently, we sat down to interview Kophazy as Brumbley. She shared Brumbley’s world in such a vivid and funny way, it had to be shared. Q: What do you do at the North Pole? Brumbley: As Chief Inspector, my main job is to make certain everybody is doing what they are supposed to be doing. I am a supervisor, but I am also like a spy for Santa. I can go anywhere and decide to do anything. Q: How long have you been with Santa? Brumbley: I have done multiple jobs for Santa for 9,900 years. I started as a stable worker mucking out the stalls. It was okay work, but I didn’t fall for any tricks. Like when Sneaky Elf offered me “stable fudge.” Yuck! Brumbley: The reindeer make a big mess, and Sneaky Elf always collects it, puts it in a pan and makes it smell good with scents. Sometimes he even puts sprinkles on it to fool people. Some elves fall for it…what dummies. Q: So how did you get to Chief Inspector from stable worker? Brumbley: Santa saw something in me and moved me up. Q: So who is Chief Inspector Brumbley? Brumbley: I am a really sensitive person inside, but I hide that. I kind of act nice around Santa, but when it comes to other stuff, I get a little sneaky. I like to lick all the candy canes and then stick them in the kids’ stockings, maybe even give them a little coal…but that’s between you and me. I also like to mess up the kids toys so not everyone gets what they have asked for. I’ll even mess up the elves’ machines so they won’t be able to make the toys. Brumbley: I want to ruin Christmas, give people a taste of my own childhood. But someone is always watching everything I try to do. Q: Could that person always watching be Santa? Brumbley: No, it’s not Santa. He’s always busy making his list and checking it twice. He doesn’t have a clue. Q: So if you dislike Christmas so much, why do you stay? Brumbley: Oh, I don’t intend to stay. Someday I’ll find a nice girl, head on vacation on a cruise ship and ditch Santa. The only person I care about is me. Q: Wow! Are all the other elves like you? Brumbley: No…no one is like me. Well, thank you for your time, Inspector Brumbley. This has been a very interesting interview. Is Jenna available to answer a question? Kophazy: Yep, I’m right here. Kophazy: Yes, Come and see the Christmas Cabaret at the theatre December 7th at 8 p.m. It is going to be terrific.